if there is one thing i love it is the combination of salty + sweet. i’m thinking of this white chocolate m&m popcorn with its sweet chocolate coating alongside salty peanuts and pretzels…i actually just made some the other day because i had a hankering for some of the chocolate-covered pretzels. another flavor combination i love – and i know i’m not alone in this – is chocolate + peanut butter. my kids come by it honestly…they eat nutella/peanut butter sandwiches all the time, and we are all a huge fan of anything reese’s. so when we were thinking of what we could give our neighbors as a christmas treat last year we decided we’d make some chocolate bark and add those same sweet + salty and chocolate + peanut butter flavors that we love so much. 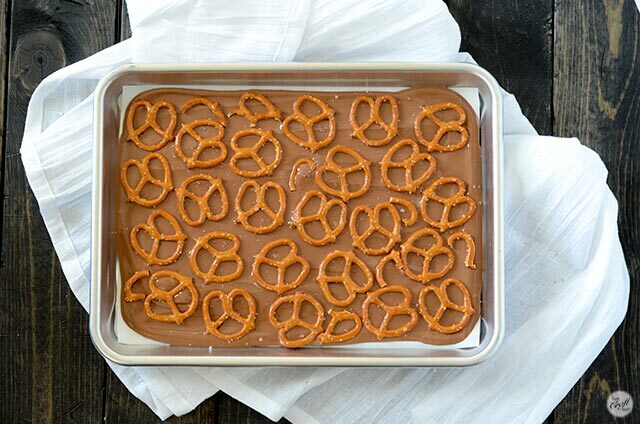 let’s take a look at these amazingly simple and as equally delicious peanut butter and pretzel pieces. 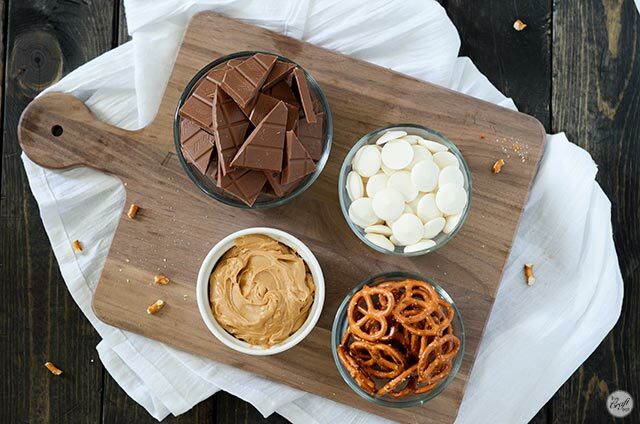 you only need a few ingredients :: the best chocolate you can get your hands on (i like to use these Lindt milk chocolate bars [aff link]…they’ve always been a favorite of mine), smooth peanut butter, pretzels, and white chocolate wafers [aff link] – again, the best you can find. 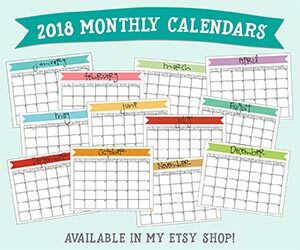 the only other things you’ll need are a baking sheet (i used this quarter-size baking sheet [aff link]), and parchment paper [aff link]. all you have to do is take 2 chocolate bars (or however many you want, based off how much bark you want to make), break them up into pieces into a microwave-safe bowl, and microwave in 30-second intervals until the chocolate is melted and smooth. pro tip :: when melting chocolate you want to make sure you stop heating it just before it is completely melted otherwise it will seize and never get smooth again, and nobody wants that! so when you’re melting in 30-second intervals make sure to stir it well after each time and try to gauge if it needs another 30 seconds or not. you can always start going to 10-second intervals if you’re getting really close to it being melted. also, another thing to note is that when you’re stirring your chocolate, if there are just a few small lumps left, that’s totally fine…just keep stirring it and the warmed chocolate around the lumps should melt them. in the end you will have a super smooth consistency. 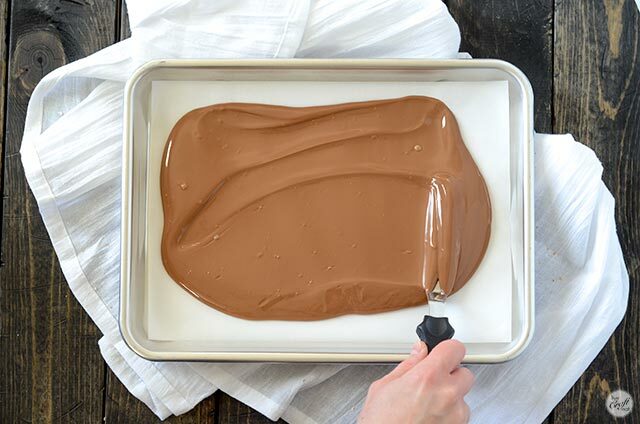 once you have your chocolate melted, spread it out onto a parchment paper-lined baking sheet. next up are the pretzels. you can break them up if you’d like, but i tried to keep them as whole as possible, just using broken pieces to fill in the gaps. you want to make sure you work quickly and add the pretzels *before* the chocolate cools, otherwise they will not stick to it at all. next, grab some smooth (not chunky) peanut butter and heat it in the microwave. 20 to 30 seconds should do the trick. you just want it to get soft/liquid enough that you can drizzle it. grab a spoon and drizzle the softened peanut butter over the whole chocolate + pretzel sheet. 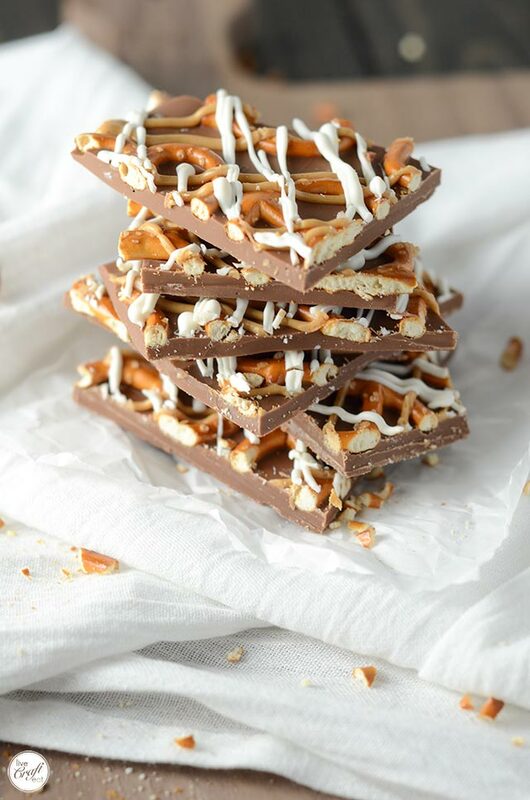 next, melt some white chocolate the same way you did the dark chocolate and drizzle that over the bark in the opposite direction you did the peanut butter drizzle. now all you have to do is be patient enough to let this harden. 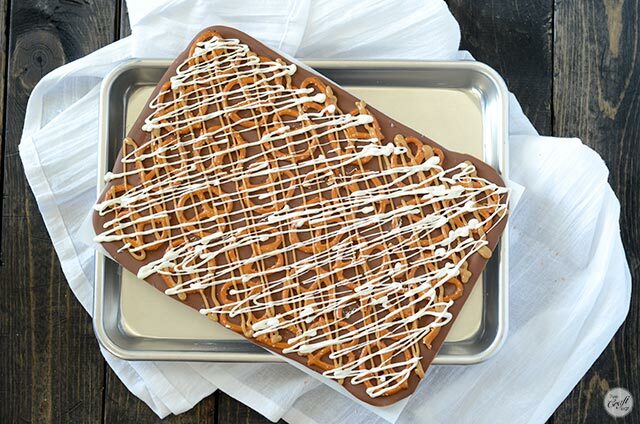 if you used a smaller baking sheet you could put it in your fridge for less than half an hour and it should be good to go. lining the baking sheet with parchment paper makes it easy to remove the entire thing. the parchment paper peels right off the bottom of the chocolate. and now the good part. just cut the bark into chunky pieces and give them to some friends…keeping behind some pieces for yourself, too of course! 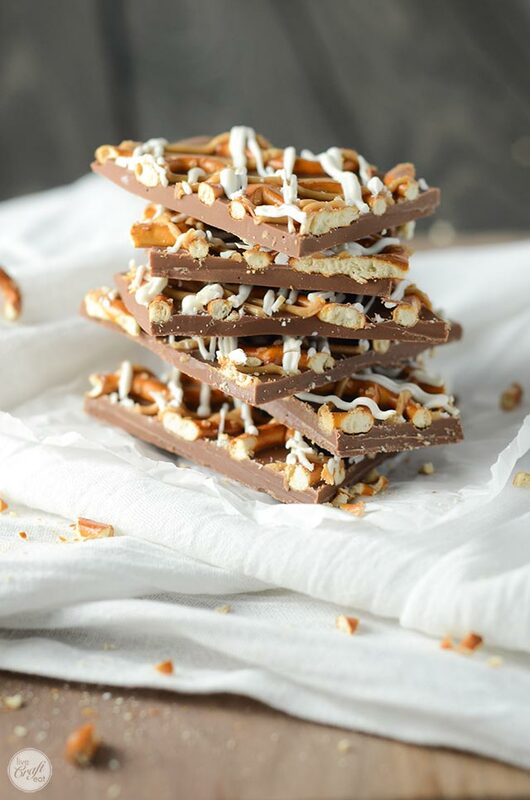 it really is so easy to make something as sweet and salty and peanut buttery as this chocolate bark. this would be a great thing for kids to make – they would love decorating the chocolate with all of the toppings, and then help to eat it afterward! what are your favorite treats to give away as neighbor gifts during the holidays? working quickly, spread the melted chocolate over the parchment paper. 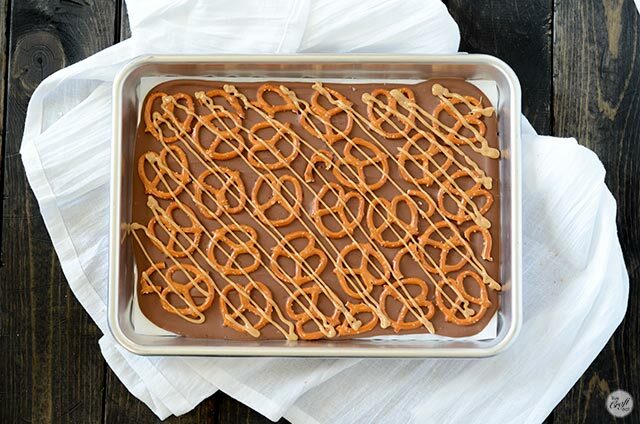 before it begins to dry, place pretzels all over the surface of the chocolate. place the baking sheet in a cool place to allow the chocolate to harden. meanwhile, place some peanut butter in a microwave-safe bowl and heat for approx 20-30 seconds or until smooth and pourable. 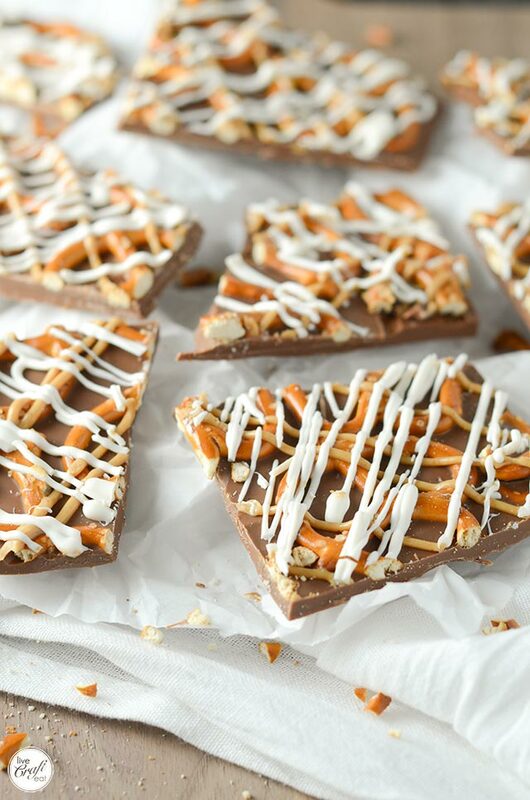 drizzle the peanut butter over the chocolate bark. 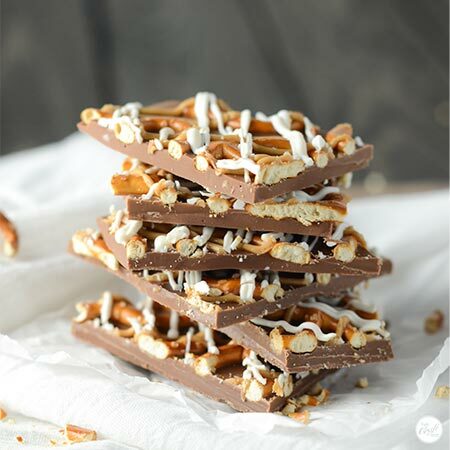 melt some white chocolate the same way you melted the milk chocolate (though a much lesser amount), and drizzle it over the chocolate bark. allow chocolate bark to harden (in the fridge, if possible), remove the parchment paper, and then break/cut it into big pieces. Lucky neighbours! This is such such a great treat! !